Five years ago, when Black Shirt Brewing opened, it was the only craft brewery in its immediate neighborhood. Soon it became a Denver landmark as the documentary “Crafting a Nation” portrayed its founders as some of the revolutionaries challenging the beer industry status quo. The fear of big beer’s entry into the craft market is familiar to the brewers who will gather this week in Denver for the Great American Beer Festival, the largest in the nation. The acquisition of craft brewers by beer giants Anheuser-Busch InBev, MillerCoors and others is creating an identity crisis in the industry and rendering the term “craft beer” obsolete. The Boulder-based Brewers Association recognized the problem this yearwhen it debuted a new seal that certifies “independent craft brewers.” And it plans a major push this week at the three-day festival at the Colorado Convention Center. The campaign to redefine craft beer represents the most aggressive push from the trade association since 2011, when Anheuser-Busch bought Goose Island, a small Chicago brewer, and ignited the current beer war. The largest beer companies now own stakes in dozens of craft breweries. “We think it’s necessary because we think the beer drinker has a right to know who’s behind the brands that they are supporting or purchasing,” said Bob Pease, the president and CEO of the Brewers Association. In a memo dated March 6, 2017, Rep. Paul Seaton, R-Homer ,asked the House Labor & Commerce Committee, chaired by Rep. Sam Kito, D-Juneau, to consider legislation to repeal or amend the small craft brewer exemption. The exemption pertains the first 60,000 barrels of beer sold in state by a brewery that meets the federal definition of a small brewery. If this suggestion is adopted, the excise for small craft breweries will leap from $.35 a gallon to $1.07 a gallon, effectively tripling the tax Alaska craft breweries pay. In his memo, Paul Seaton states that that this change will equate to $2.6 million in tax revenue to the state. What isn’t mentioned is that $2.6 million will do nothing to address the state’s fiscal gap of over $2.5 billion dollars. In addition, he fails to mention that it has the ability to stifle expansion in a growing value-added manufacturing industry, something the Alaska desperately needs as it tries to diversify its economy. What is also overlooked is the economic benefit this industry plays in Alaska and the much greater positive effect a vibrant craft brewing industry has on the state’s overall economy. In 2015, the year of the most recent economic impact study, the industry was responsible for approximately 1,400 direct and 2,300 combined direct and induced jobs. In the same year the industry generated $340 million in direct income as well as a combined income of $492 million. This economic engine was responsible for $47 million going into the pockets of Alaskans who work in the industry while contributing $33 million to Alaskans who support the brewing industry and $16 million to Alaskans through induced spending. In addition to the substantial economic impact these businesses play in the Alaska economy, these small businesses are an important part of Alaska communities. Alaska craft brewers are good community members who donate cash, beer, and merchandise to local and statewide causes and organizations. Many breweries in Alaska have and continue to win national and international awards, bringing acclaim to Alaska and its brewing industry. In addition, the brewers advertising and distributing outside the state, showcase Alaska and its residents to the nation and the world. “Amending and updating this statute would create a level playing field for the alcohol industry,” Seaton said in his memo to the committee. What this proposal actually does is give large out of state brewers a leg up when competing with small Alaska businesses. Besides not having the economy of scale large outside breweries have, the cost to produce beer in Alaska is substantially higher. Out of state breweries ship the finished product for distribution in state, effectively paying for shipping of the final product once. Alaska breweries on the other hand must ship in their main ingredients like hops, barley and malt as well as their bottles and cans; a much larger amount of shipping by weight than the finished product. In addition, almost all of their heavy industrial equipment is shipped from out of state suppliers. For anyone that has ever paid for shipping from the lower 48, you know how expensive it can be. Imagine how expensive it is for the tons of ingredients and equipment required for a brewery to operate in Alaska. Due to this fact, Alaska breweries operate on a smaller margin than outside breweries and if the excise tax is tripled, the price of Alaska craft beer will have to rise to accommodate the new taxes. As with all products, there is a pain point for consumers and eventually they will choose a lower priced product rather than indulge in the higher price craft products, although they would prefer to support local. Finally, as has been pointed out by many members of the industry including brewers, wholesalers, retailers and customers, the excise tax paid is not a 1-to-1 correlation to the final price of the product. Although the tax, in the proposed case of an additional $.71, is assessed on the product, the wholesalers will adjust their markup based on a percentage of the total cost to them including the tax, not just add $.71 to their cost. Repeat this again at the retailer level and the increase to the consumer will be substantially higher than the proposed $.71. The craft brewing industry is one of the only growing value-added manufacturing industries in the state of Alaska. To risk harming this successful and vibrant industry for little financial gain to the state which will not make a dent on Alaska’s fiscal crisis is not only short-sighted, but misplaced. Lately, I’ve been giving some thought to what seems to be the growing desire for novelty amongst a certain segment of craft beer drinkers. In many ways, it seems that the most active craft beer aficionados out there are the ones who are always eagerly looking for the next hot new brewery, the next new beer made with some great experimental hop, exotic ingredient, or wild barrel-aging program. In short, they are always searching for “the next big thing”. First off, it seems to me that this is primarily an American phenomenon. In Europe, the vast majority of beer drinkers don’t seem to be driven by this constant urge for the new and different. I’ve visited cafes in Prague that had a grand total of one beer on offer. Granted, it was the classic Pilsner Urquell, deliciously fresh from the brewery, but how many American pubs could survive serving only one craft beer, no matter how delicious? When I lived in Britain from 1998 to 2001, I frequented many a pub that had only three beers on offer: an ordinary bitter, a best bitter, and a seasonal, all from the same brewery (since they were tied houses). No one seemed to be bothered by being offered the same three beers, day in and day out. 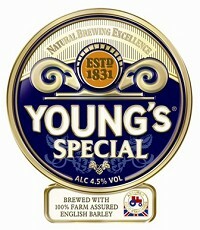 Just serve me a well-kept pint of Young’s Special, and I’m perfectly happy. But that’s not the American way, it seems. We’re always looking for the “new & improved” version. 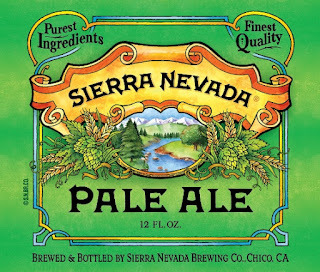 While the macro beers on offer from BudMillerCoors could certainly stand to be improved, the sales of many excellent established craft beers also seem to be suffering these days. 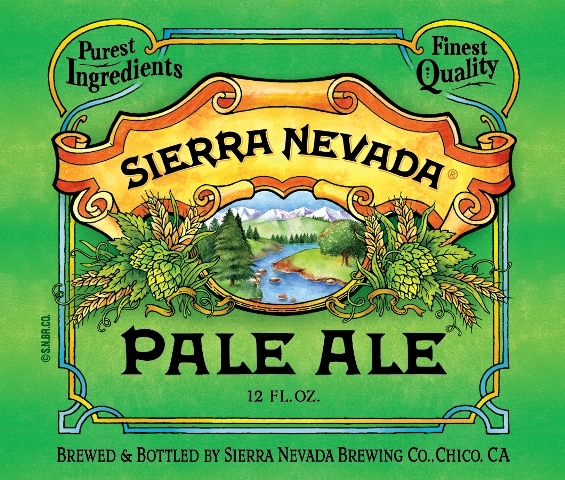 Beers like Sierra Nevada Pale Ale are still fantastic, even if they don’t seem as “cutting edge” as the latest hazy IPA, hopped to 100 IBUs with some brand-new hop variety. While I’m still willing to try most any new brew once, lately I’ve been making a conscious effort to throw some of my limited beer budget toward some “old favorites”; in revisiting beers that I first feel in love with 30 years ago, I feel like I’m reconnecting with what got me interested in craft beer in the first place. This is still a wonderful beer. When did you last drink it? While I’m on the subject, let me say a quick word about the new plethora of beer apps, of which Untappd is probably the most popular. I will admit to having it on my phone and using it, but I’m beginning to think that such apps might be detrimental to truly experiencing and enjoying craft beer. If the drinker’s focus is on drinking a beer to earn another badge, rather than drinking the beer just to enjoy it, things may be headed in the wrong direction. It reminds me a bit of the “tickers” I saw in Britain. The people strove to taste and “tick off” as many new beers as possible. As hobbies go, I suppose it’s no worse than collecting stamps, coins, or butterflies, but it always seemed to me to miss the point of drinking a beer in the first place. The new apps seem to be turning us into a nation of tickers, rather than folks just enjoying beers for their own sake, be they old classic or new creations. So let’s put the phones down and just have a beer, shall we? 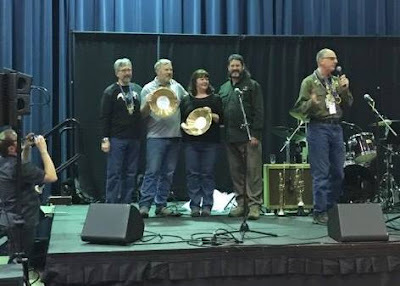 Stepping down off my soapbox and moving on to some news item, I first have to congratulate Kassik’s Brewery on its impressive double gold at the Great Alaska Beer & Barley Wine Festival last weekend. It’s 2016 Buffalo Head Barley Wine took First Place in the Barley Wine Competition, while its Statny Statny Barrel Aged Stout took the prize in the Winter Beer Category. Ballast Point’s Three Sheets Barley Wine took second, while 49th State Brewing’s Outlander Barley Wine took third. So a very impressive showing by Alaska brewers in general and Kassik’s in particular. 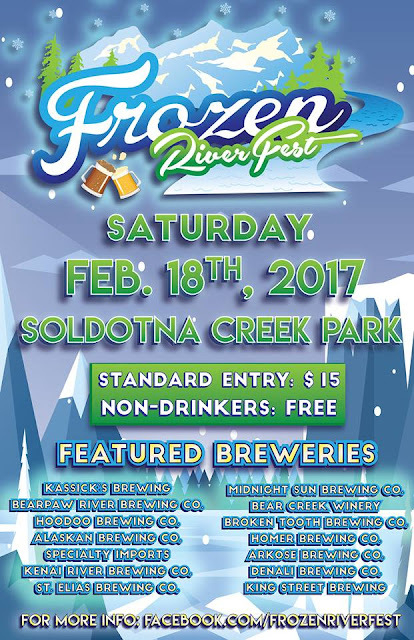 If you weren’t at the Festival and would like to sample the winners, there will be an Awards Celebration at Kassik’s Brewery in Nikiski tomorrow, Saturday, from 2 to 6 PM. I’d get there early, as there are only 5 gallons of the Statny Statny Barrel Aged Stout available. Kassik’s has also begun releasing its beers in 12 oz. six packs, starting with Morning Wood IPA and Beaver Tail Blonde Ale. Also in the news was the announcement that Matthew Tomter, the owner ofEagle River Ale House & the Palmer City Ale House, has purchased the former Mat Maid Dairy building from the state to house the Matanuska Brewing Company. Here is the video of the KTVA Channel 11’s report on the purchase. Tomter has ambitious plans. He said: “On day one we’ll be able to produce more beer than anybody, other than Alaskan Brewing Company, is producing right now. Our primary focus with this brewery is going to be 100 percent wholesale. We are going to produce beer, put it in cans and kegs, and send it straight to a distributor.” Currently, the brewery hopes to be open for business in November of this year. Speaking of opening for business, Girdwood Brewing is expecting to receive its final shipment of brewing equipment soon and expects to be open by the end of March. Initial beers on offer will be IP-AK (the house IPA), Down the Chute(an easy-drinking Kölsch), and Hippy Speedball (a coffee stout). I stopped in for lunch last week at Kenai River Brewing in Soldotna; the food from its new kitchen continues to be exceptional. I had the French Onion Soup (pictured below) which was perfect for such a cold day, then followed it up with that day’s special, a hearty meatloaf sandwich. If you haven’t eaten there yet, you are really missing out. Finally, we are only three weeks away from the Frozen River Fest here in Soldotna, so it’s time to start making your plans. This year in advance of the Fest there will be not one but two beer dinners. The Flats will be again be holding its dinner on Friday night before the Fest; check out my 2/26/2016 blog if you’d like to see just how fantastic last year’s dinner was. In addition to The Flats’dinner on Friday, Kenai River Brewing will be hosting a dinner at the brewery on Thursday night. This is something Doug Hogue has wanted to be able to do for several years, so I fully expect it will be exceptional. Here’s the poster for the Fest itself; keep an eye on its Facebook page for more details about the dinners. Enough news. Let’s do some beer reviews. I have three new brews to offer you this time round. Cascade Lakes Brewing’s Salted Caramel Porter: This brewery is located in Redmond, Oregon. The beer poured dark with ruby highlights and a big, cream-colored head. The aroma was of caramel and roasted malt. Carbonation was good, but I thought it was a bit thin on the palate. The flavor profile was of caramel, coffee, & cocoa; good but falling off rapidly, so that there was little finish. Not a bad beer, but one that needs more “bottom” as the Brits would say. 5.8% ABV, 37 IBUs. Ninkasi Brewing’s Noir Milk Stout: I’ve always been partial to this style, to the point of always keeping my home-brewed version on hand for my wife to cook with. Ninkasi’s version pours dark with semi-translucent ruby highlights and a nice mocha-colored head. The nose is mainly sweet notes from the malt and lactose/ The carbonation was good and the mouthfeel was light to medium. The flavor profile was a mix of the sweet malt notes and the coffee flavors, in a very smooth blend. Overall, a delicious beer and a worthy take on the style. 7% ABV, 60 IBUs. Alaskan Brewing’s Husky IPA: This is Alaskan’s latest seasonal release and its entry into the popular “tropical IPA” field, as it’s hopped with the popular Mosaic variety. It poured a clear gold with a nice white head. The aroma had lots of tropical fruit notes from the Mosaic hops. The carbonation was good and the mouthfeel was light. There was good up-front bitterness, then plenty of hop flavor and aroma. Overall, a nicely balanced, highly drinkable IPA; definitely not a palate-wrecker. 7% ABV, 58 IBUs.